Protesters used vehicles to obstruct the main access road in China leading to the Chinese-Mongolian border, resulting in Oyu Tolgoi convoys being unable to deliver copper concentrates to customers, the Vancouver-based company said. Force majeure is a legal status that companies invoke when they cannot make deliveries of a commodity because of forces outside of their control. The Chinese truckers were protesting the increased enforcement of rules that required the drivers to pay Mongolian taxes and social insurance in order to receive permits to deliver coal, said an industry source based in the capital of Ulaanbaatar who is familiar with the matter. Mongolian authorities also stopped Chinese truckers from picking up coal from the mine itself, which lowered their pay rates, the source said. A Mongolian government spokesman would not comment on whether it was trying to resolve the issues with the Chinese drivers, but he did say trucks were again passing through the border area since early this morning. Turquoise Hill, which is majority owned by Anglo-Australian mining giant Rio Tinto, said the force majeure was not expected to have any impact on production. Turquoise Hill owns 66 percent of the Oyu Tolgoi mine, with the Mongolian government owning the remaining 34 percent under a 2009 agreement. Critics of the mine say the country’s stake is too low. 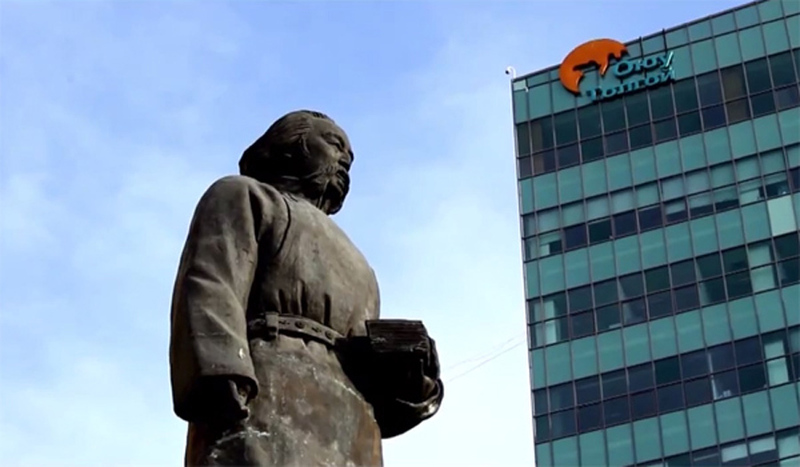 Other disputes over the costs and the taxes paid from the project, Mongolia’s biggest, have slowed its development. Earlier this week, Oyu Tolgoi said it was evaluating another bill for about $155 million from Mongolia’s tax authority following an audit of payments made between 2013 and 2015. Copper concentrate output from Oyu Tolgoi fell to 157,400 tonnes in 2017, down 21.8 percent on the year, the company said last week. Gold concentrate production dropped to 114,000 ounces, less than half the 2016 level.